Let’s say you meet a stranger in a dark alley. Someone is killed. The survivor claims self-defense. There are no witnesses. Only one side of this story is available because the other person is dead. That image of the vigilante who takes the law into his own hands was popularized in Hollywood. 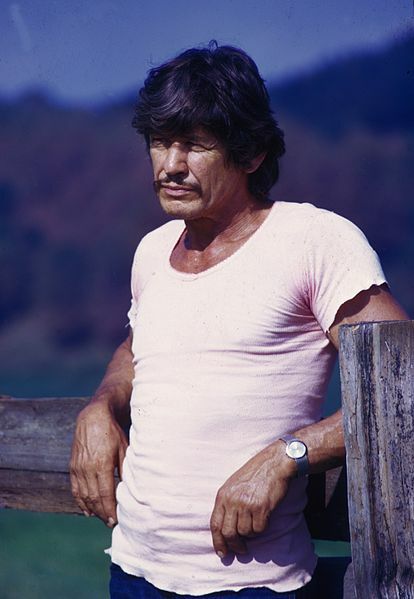 Think: Charles Bronson (as Paul Kersey) when he avenged his wife’s death in “Death Wish” (1974). Many cheered him on when he sought revenge. But two recent cases in Florida, that appear to have taken the same path, ended in the deaths of two young men under the state’s “Stand Your Ground” law. Make no mistake. This is not about anyone’s right to “bear arms” and protect themselves. This is about rights guaranteed to U.S.citizens in the Bill of Rights in the U.S. Constitution. Rights such as the right to a fair trial “decided by a jury” of your peers. There’s not much chance of that happening if someone apparently takes justice into his own hands. “The 2005 law eliminated a citizen’s duty to retreat when attacked, leading critics to say the statue fosters vigilante justice and allows criminals to get away with murder on a claim of self-defense,” according to The Miami Herald. Florida Statute 776.013 (3), known as the “stand your ground” law, allows people to use deadly force if they think their life is in danger, or other lives are in jeopardy. On Wednesday, March 21st, Miami-Dade Judge Beth Bloom tossed out a case against Greyston Garcia, who was charged with second-degree murder in the fatal stabbing of Pedro Roteta. 26, on Jan. 25th. “Police said Roteta was stealing Garcia’s truck radio.” Garcia chased Roteta more than a block before the fatal attack. Roteta had a pocket knife, but it was unopened and in his pocket, according to The Miami Herald. In the Martin case, Zimmerman ignored police advice not to confront the teen. He followed Treyvon Martin in his sport utility vehicle and then on foot. The two allegedly got into a fight. The devastating outcome has been the subject of protests and national news coverage. The Miami-Dade State Attorney’s Office may appeal the judge’s ruling. The state of Florida should take action now to re-examine the Stand Your Ground law. What happened to Trayvon Martin … and to Pedro Roteta … could have happened to anyone’s child. This law is a matter of concern for all citizens who want safe passage on our streets and in our neighborhoods. Welcome to the South, where the will of the NRA trumps the Constitution of the United States. The huge protests in Florida will send a message that people will not stand for this cruel, violent behavior any longer. The question is, will anything be done because of the people’s message? I only hope that things will change. 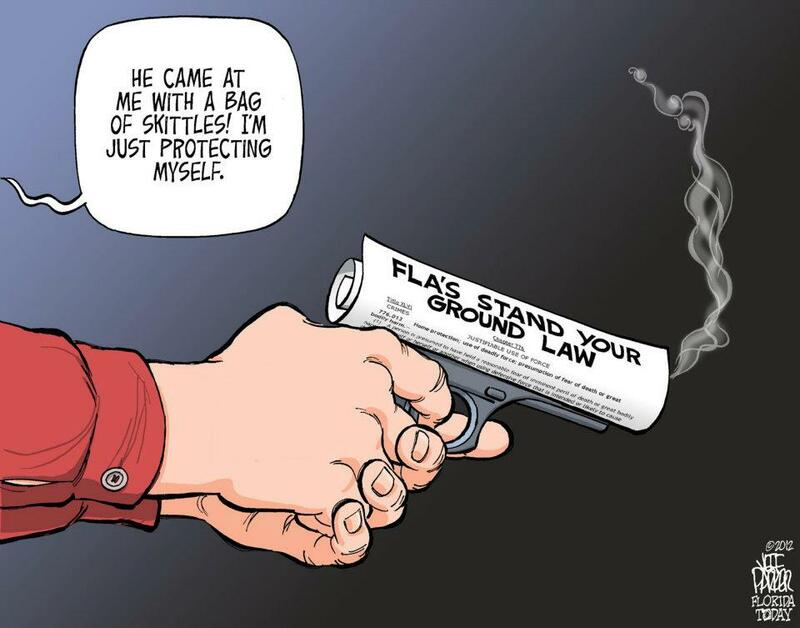 But the passage of the Stand Your Ground law in Florida paved the way for it to be approved in about 20 other states. In 1987, the NRA made it possible for people in Florida to carry concealed weapons, and is pushing for a full-blown open-carry law in this state. (“Orlando Sentinel”, March 25, 2012) Many fear that’s like open season on the public. Thanks for your comments. Years ago I taught at Carol City High where he went before leaving for M. Kropp High. His home is about 8 miles west of me here in the NW corner of Miami Dade County. Whatever are the facts one thing remains. I have never heard of a neighborhood crime watch that allows participants to carry a weapon. It is expressly forbidden in every town that I know here in Miami Dade. The Stand Ground law does not apply here anyway. In my area drive-by shooting and home invasions are far too frequent and people need to be able to protect themselves but of course that is not the issue here. I agree that Stand Your Ground laws do not apply in Treyvon Martin’s case or in the fatal stabbing case in Miami-Dade. But, originally, no charges were pressed against George Zimmerman, and the judge threw out the Miami-Dade case. Sounds like the law needs to be clarified because it is not being applied evenly by judges or by law enforcement. I can understand wanting to protect yourself, but it’s scary to me that something like this can happen. Thanks for your comments, Carl.